After living abroad for almost two years now, we have learned to adapt and continue learning how to adapt to different cultures, world views and spatial distances. We learned in France to give culturally appropriate air kisses, wait in long silent lines and to greet a waiting room full of people at the doctor’s office. In Cameroon we have learned how important a handshake is, that personal space doesn’t exist and that it doesn’t matter what manufacture’s say capacity is. The typical taxi is a small Toyota Corolla and the taxi’s are advertised at being able to carry 5 passengers: 2 in the front bucket seat and 3 on the back bench seat with children on laps. I’ve been in taxi’s with 8 passengers plus children on laps. Well, the same principal applies to hauling items. This taxi was fully loaded with plantains and it gives you a glimpse as to how things are transported and crammed in small spaces. And sometimes there just isn’t enough space in a taxi so they fill up a truck. 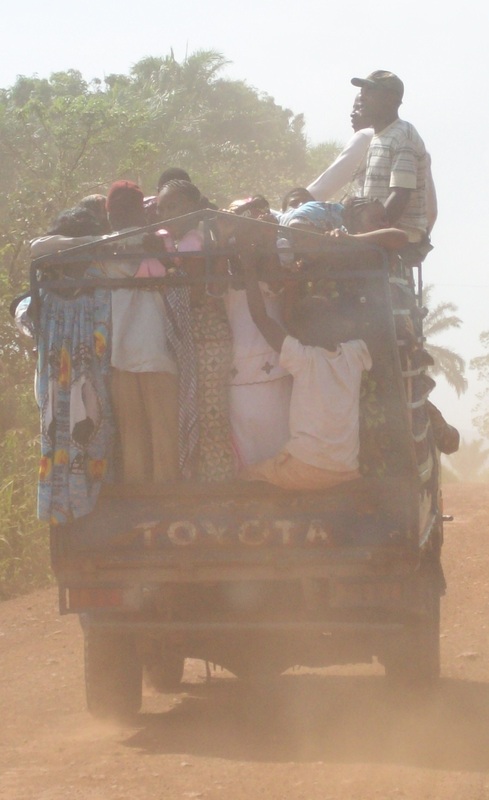 This entry was posted in Cameroon and tagged Cameroon, Space, Taxi. Bookmark the permalink. I’m not sure the local police wouldn’t pull me over if I loaded my truck like that. 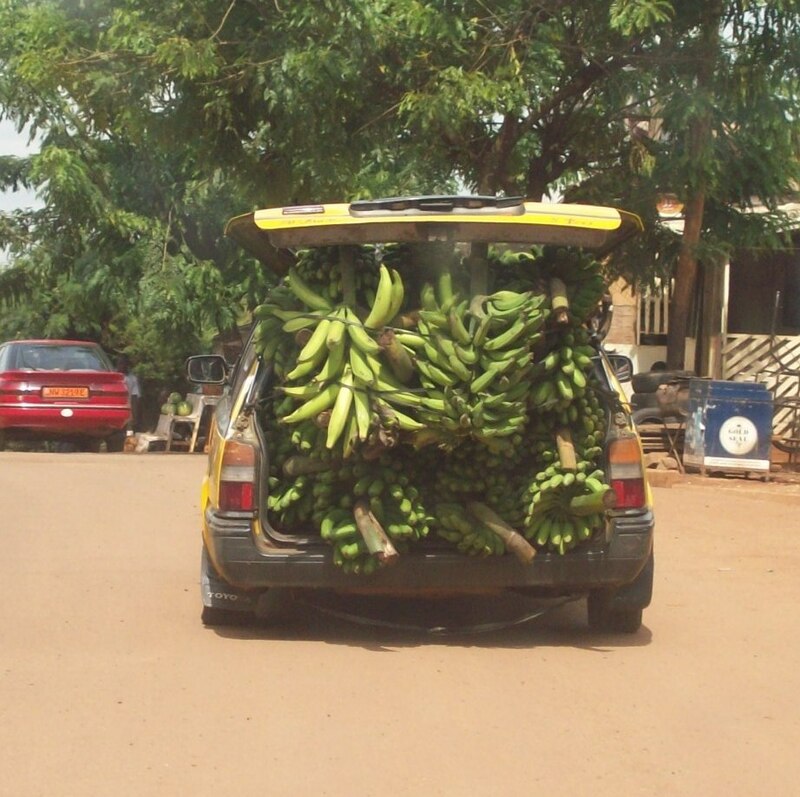 Do you really think you could get that many people or plantains in your truck? Probably not – but it would be fun trying! I have a bigger truck now than when you lived here.